The very first draft of this post was called “soul eater not again.” Now people tell me I don’t have a sense of humor, but that headline made me smile. 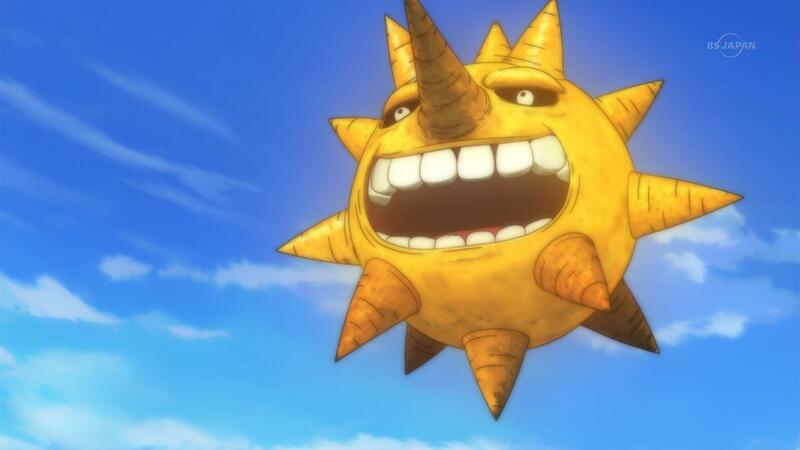 It’s Soul Eater Not! combined with Not Again! …that was much funnier at 2 AM with my brain running on caffeine. 2 Comments Posted in Anime & Manga Tagged BONES, soul eater, soul eater not! I return once again with a post composed largely of screenshots, as I’ve warned you before. Aside from that I would like to share some notes on the series I have collected from the first three episodes. My overall opinion so far: The show has too much action for a slice-of-life anime and too much slice-of-life for an action one. Nevertheless we’re getting there, albeit excruciatingly slowly. There are about two interesting scenes per episode and hints are being dropped, but I do hope this will finally pick up after this three-episode-long introduction. 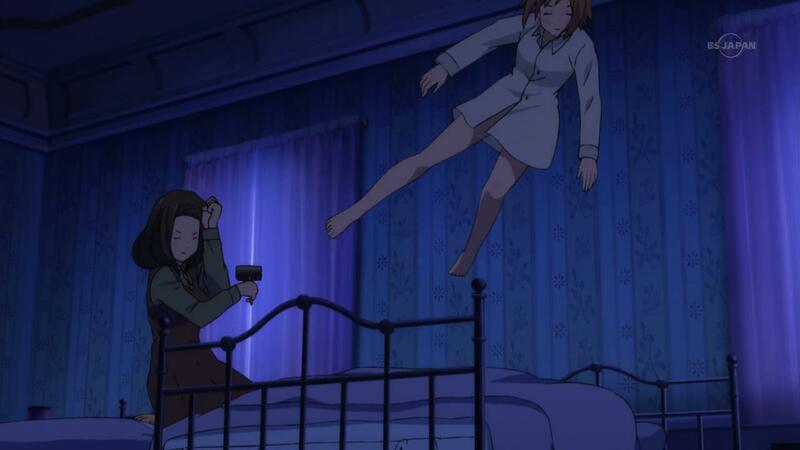 In episode 1, Maka appears and Anya beats up two nameless sleazeballs. In episode 2 the psychopathic dorm mistress is introduced and defeated. In episode 3 we are given some (more) fanservice and Anya gets attacked in a dark alley. Anyways the girls are dumb as soup and rather flat, though still have more elaborate personality than in some other series of this season. 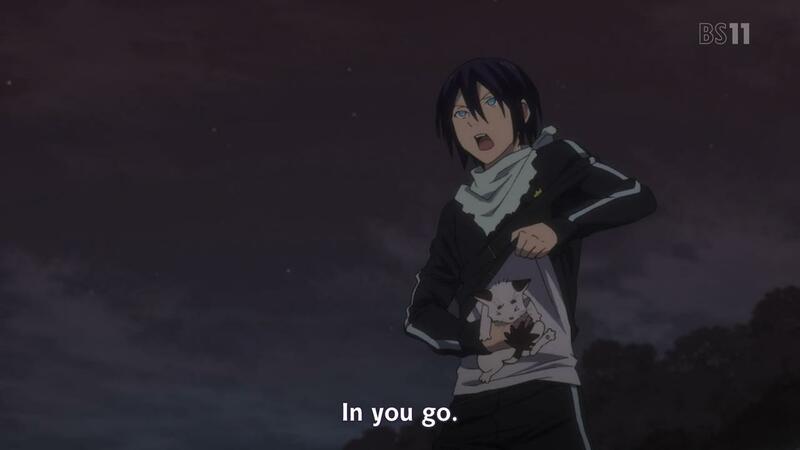 2 Comments Posted in Anime & Manga Tagged BONES, soul eater not! 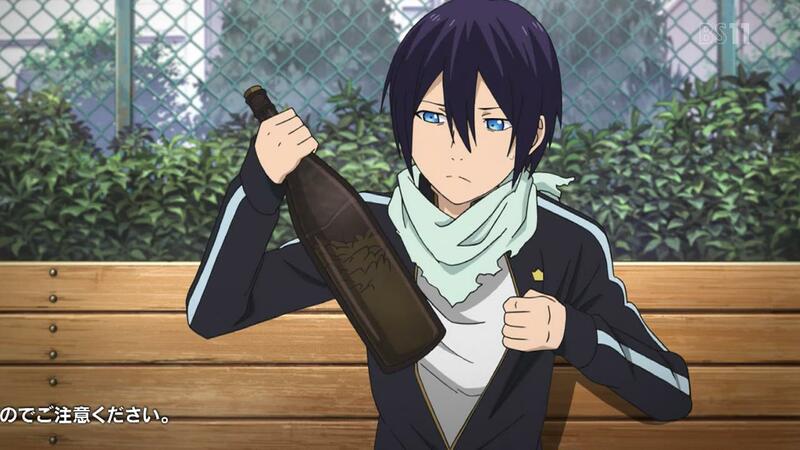 Once again I took a pair of screenshots while editing Noragami in preparation for a Blu-ray batch. It might take me a while to write a full-fledged post, because work is slowly draining all life force out of me, so prepare yourselves for more of these very concise asides. The first one made me look up hawthorns. This shall be a very short post. 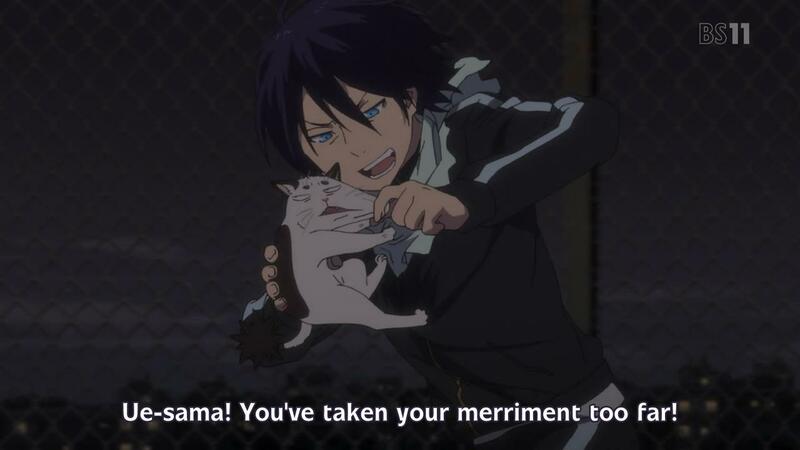 I have been proofreading Noragami fansubs before an impending Blu-ray release. At the same time I am just watching the series for the first time and coming upon scenes long gone from every otaku’s Tumblr/Twitter/other social media radar, like Hiyori-chan skipping along the power-lines. I paused on this one when my lovely girlfriend looked over my shoulder.